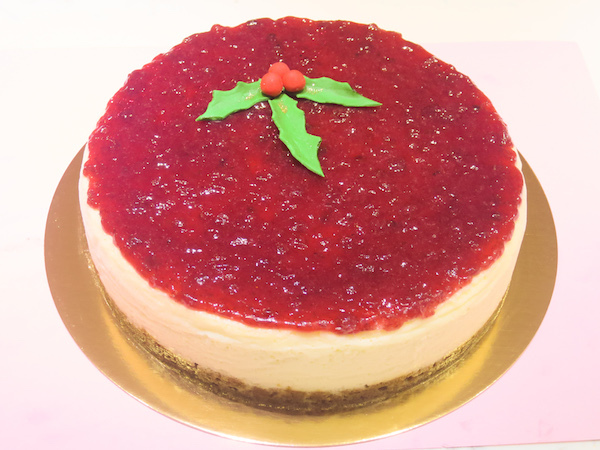 This cheesecake is simple yet impressive cake for the holidays. 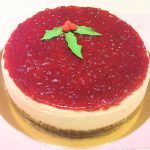 The colours and flavours are calling for Christmas! 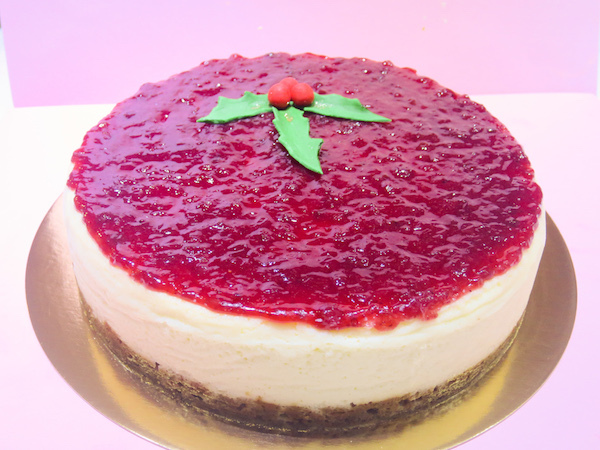 Starting from nice and thick gingerbread crust the flavours of sweet white chocolate in a creamy soft cheese and the slightly sour lingonberries on top, all compliment each other in a sweet harmony. I made the simple mistletoe leaf decoration from sugar-paste in a last minute decision and now afterwards thinking, marzipan would have been nicer in here. The cake in pictures was made with ring of size of 24 cm. I’ve adjusted the recipe for 20 cm/8 inch for easier conversion. Preheat oven to 150°C (300°F), fill a baking tray with water and place it on the lowest rack of the oven. 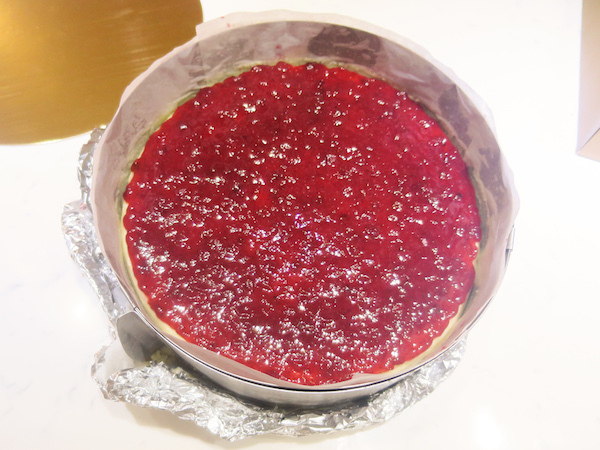 Line a 20 cm (8 inch) cake tin/ ring with parchment paper, brush the sides with butter to attach the paper. Mix melted butter into crushed ginger bread crumbs and once mixed well, pour into the prepared cake tin and press straight and smooth. Bake for 5 minutes and set aside while preparing the cake batter. In a mixing bowl beat cheese with sugar until incorporated. Meanwhile in a saucepan heat the cream and pour over chocolate to melt. Use immersion blender to pulse smooth. Add eggs to cheese mixture and continue beating until incorporated. 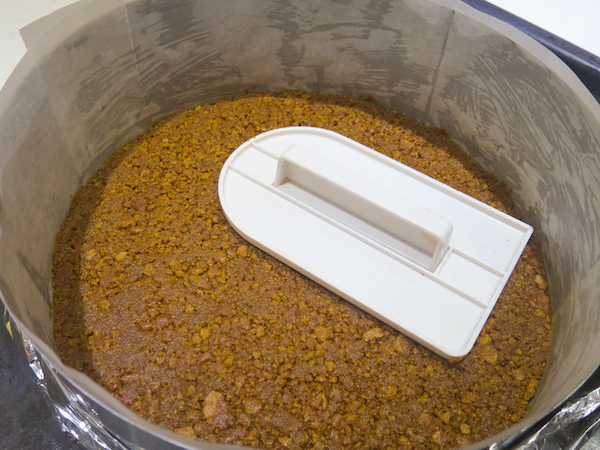 Then remove from mixer. 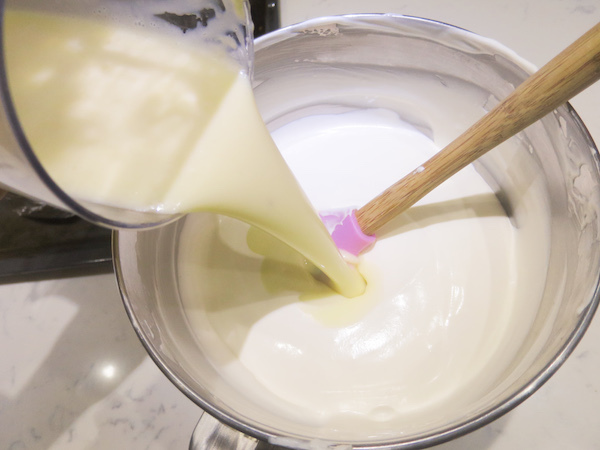 Add the chocolate and cream mixture and fold it in the cheese mixture by using a spatula. You can use an immersion blender to combine but avoid air bubbles if you do so. Strain the mixture through a sieve into prepared crust. Bake for 35-45 minutes until wobbly in the middle, then turn off the oven and leave the cake in the oven for 60 minutes. Leave to cool in room temperature and once completely cooled cover the cake tin with plastic wrap and place in refrigerator to set over night. 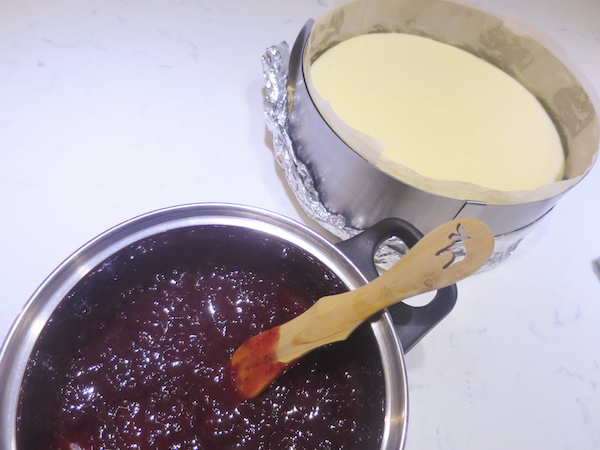 Heat the jam in a saucepan until runny consistency, if it's too stiff and some sugar to make it more liquid. 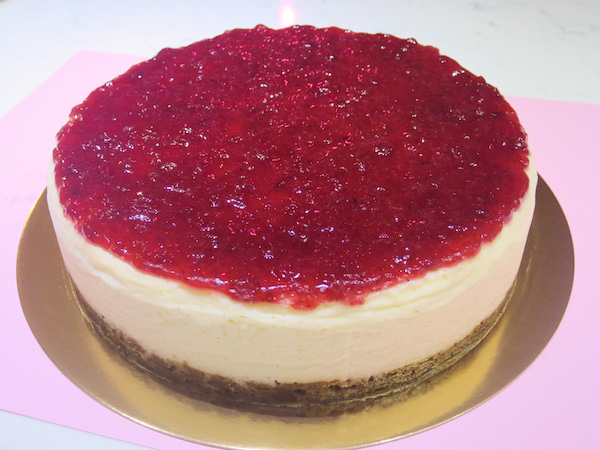 Gently spoon over the top of the cake while still in the cake ring. Refrigerate for at least 30 minute. Remove the ring and place onto serving plate. Add additional decorations of your choice and serve chilled.